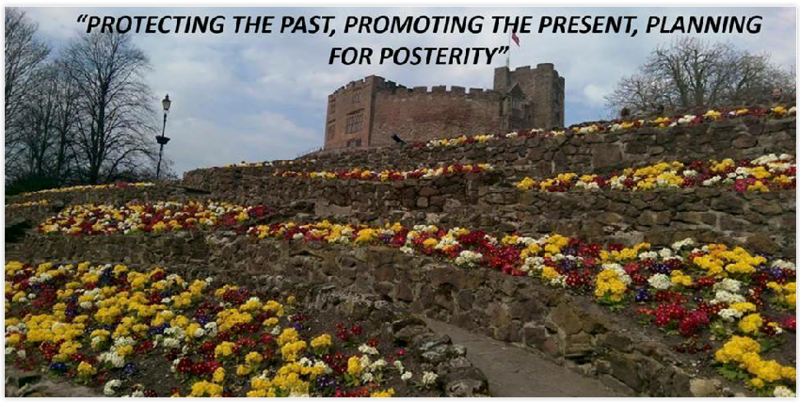 TDCS can provide guest speakers to other local organisations to explain the history, aims and activities of the civic society. Our Chairman was asked to address the Inner Wheel Club of Tamworth Anker on 26th July 2016, at Drayton Park Golf Club. President Margaret Barnes wrote afterwards; "It is comforting to know that there is a very passionate organisation looking after our interests in and around our town. Thank you for coming along and enlightening us to your good work." Inner Wheel is an international organisation for women, closely linked to Rotary International. 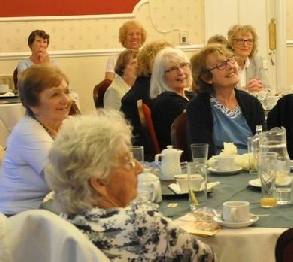 It was founded in Manchester in 1924 for the wives and daughters of Rotarians, but women no longer have to be linked to Rotarians in order to join. Inner Wheel Clubs now exist in over 103 countries. Like Rotary, Inner Wheel is divided into local clubs within districts. Its objectives are: promoting true friendship; encouraging the ideals of personal service; fostering international understanding. 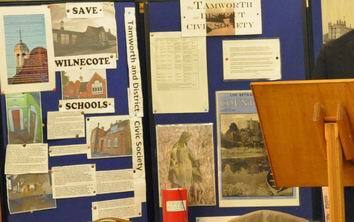 The Inner Wheel Club of Tamworth Anker was chartered in 1987, and has a good working relationship with the Rotary Club of Tamworth Anker which the TDCS Chairman, coincidentally, addressed the day before. 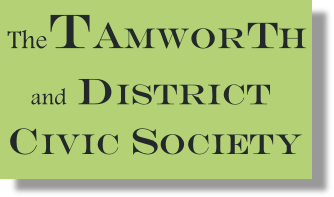 TDCS was delighted to engage with the ladies of Inner Wheel, one of the service clubs that do so much good work in Tamworth and District. As a result of our visit we inspired one of the members and her husband to join TDCS. The Inner Wheel ladies promoting true friendship. The ladies engage in questions and answers with the TDCS Chairman. We are amused.....the TDCS speech goes down well.